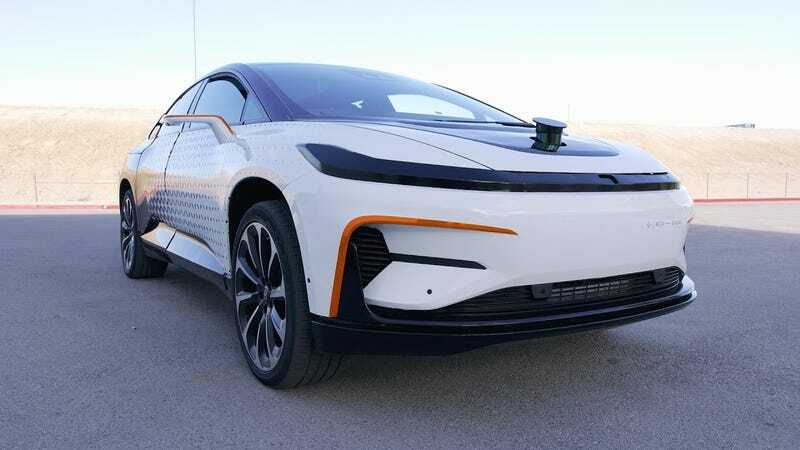 Faraday Future continues to have some very concerning issues, but what saved its second CES performance was the technology it brought to the show, which popular YouTuber Marques Brownlee got to take a closer look at. With reports of organization issues, major finance concerns, and an increasingly growing list of top executives voluntarily abandoning Faraday Future, things look a little bleak. But its saving grace is that it now actually has a functioning prototype it can talk about, and more importantly show off, in the FF 91. Brownlee, who is currently a proud Tesla Model S P100D owner (occasionally experiencing some concerning steering issues), recorded his experience behind the curtain with Faraday. There’s no doubting that the two prototype vehicles Faraday has running around its CES showfloor aren’t impressive considering where we were with that vaporware concept last year, running lighting quick laps to show off the future autonomous electric car’s potential. What’s unique about Brownlee’s experience (at least, to me) is a closer look at how the rear-steer setup is supposed to work, with the rear wheels able to reach a three-degree angle to help the luxuriously long wheelbase feel more agile in the bends. Brownlee was also a fan of the touted wireless charging, which was clarified in the presentation earlier this week as being a future prospect and not something ironed out quite yet. Brownlee comments that people aren’t “giving [the FF 91] a chance to exist,” which isn’t necessarily true. There’s plenty of justified skepticism based on just how damaging and concerning the past year has been for this company, particularly in parallel to their ambitious claims. But if Faraday can pull it off, the technology Faraday had on display at CES should hopefully translate into a powerful production vehicle.